In addition to their role as The Standardistas, Christopher Murphy and Nicklas Persson teach interactive design at the University of Ulster at Belfast, where they have been active in promoting a web standards-based curriculum. 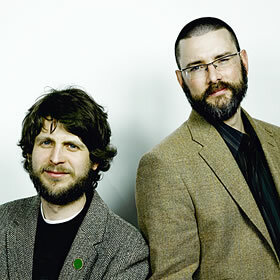 As tweed-clad duo The Standardistas, they write regularly on standards-based web design and the importance of improving web design education. Their first book, which extols the virtues of A Web Standardistas’ Approach, has received widespread praise for its practical and hands-on modus operandi. In addition to speaking regularly at conferences worldwide, they run workshops and masterclasses, teaching the principles of design, both on and off the screen. You might wish to follow @standardistas on Twitter for a daily dose of design inspiration.